Take a look at the spirited 2011 Ford Escape XLS shown in Tuxedo Black Metallic. 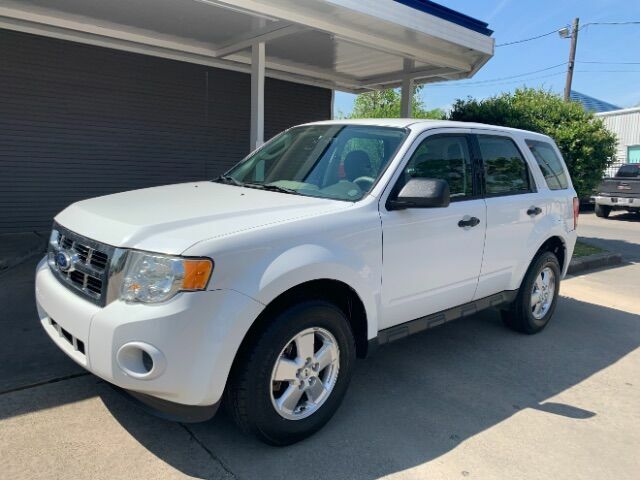 This 5 passenger compact SUV packs a powerful 2.5 Liter 4 Cylinder under the hood offering 171hp on demand combined with a 6 Speed Automatic transmission secures excellent mpg just for you. Enjoy crisp handling and performance as you zip to your next destination in style. With Escape you have comfortable seating for 5 and great cargo space to haul the things you need for your active lifestyle. Escape is strong and stylish with a handsome design. Inside you will love the modern, functional controls. Our 4 speaker audio with CD player and audio input jack allow you to hookup to your phone and play your latest tunes. The center console has superb storage and cup holders and the seats fold flat enough for a snowboard. You will feel right at home in the comfortable seats. Escape is one of the safest SUV''s on the market. Six standard airbags, tire pressure monitoring and stability control ensure you and your passengers are safe. MyKey allows controls to be set for the younger drivers in the house to ensure safe driving. You have chosen well with the Escape! It is a fun, smart and versatile SUV for someone who is active and needs a vehicle that can keep up. Print this page and call us Now... We Know You Will Enjoy Your Test Drive Towards Ownership!